Something wonderful has happened. Something I've been waiting for a long time. Googlers already saying it for many month behind the hand, that Blogger and Google+ will tighten their relations. 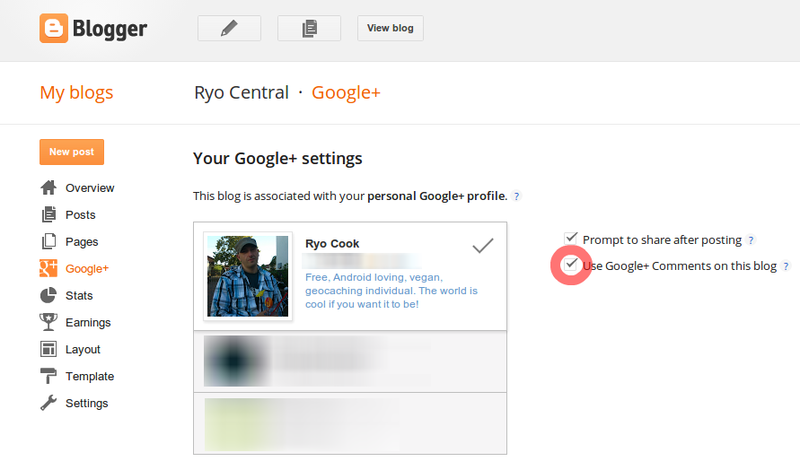 As of yesterday, you can activate Google+ comments on Blogger. That means, every comment made in your blog, or on Google+ will be shown in your blog post, too. This is a valuable tool. Most conversation about the blog posts are made on social platforms, no longer in your blog. This is a shame and deplaces interesting conversations. Now for Google+, you won't be sad any longer. Comments are coming back to your blog. There is a real easy way to set things up. If you have a Google+ account, just go to blogger.com and go to the settings. From there choose "Google+". Now you'll see a screen where you have to check "Use Google+ Comments on the blog". And you don't lose comments already made before on the blog. They will show up, too. All newly made comments from that on, will show on Google+ in a new post by default. That will drive a lot of attention on your blog posts. Of course people can decide not to make them visible on Google+, but only on your blog. All posts people made like this will show up in your comment section. People need to have an G+ account of course. I'll guess is common sense that you need to log in somewhere these days to comment in a blog. You probably seeing a lot of comments after switching to this. Because all old comments made on posts about your article will also show up now in your blog. Amazing. Cheer up, bloggers. Google gave you some incredible too to connect your blog to the social conversations again.